A premium quality grade formulated for use with Cellulose Sanding Sealer, Melamine Lacquer and Spirit Stain. It can also be used to clean brushes after using these products and many other materials. 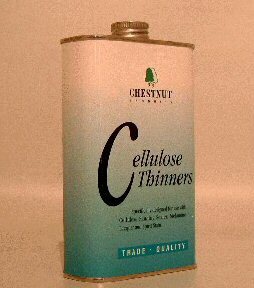 Chestnut Products Cellulose Thinners does not contain petroleum solvents such as toluene and xylene which can be harmful both to the user and the environment.